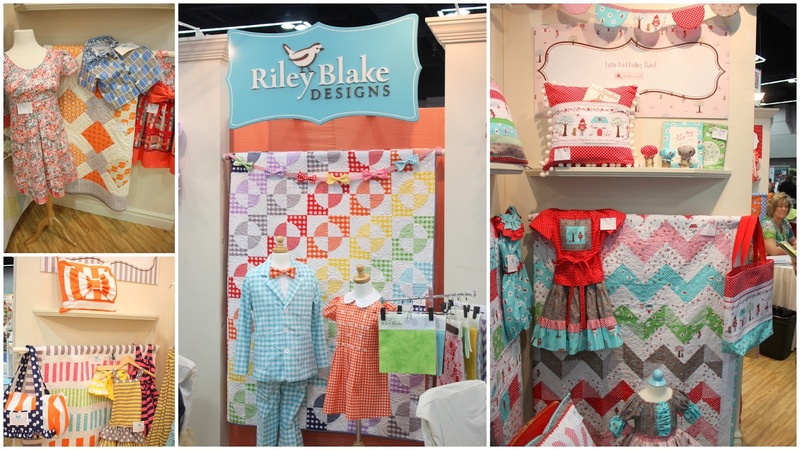 A few more glimpses of upcoming Riley Blake collections Kensington, Ashbury Heights, and Boy Crazy (cute triangles!) as well as a quick pick with designers Shari Butler and Carina Gardner. A few quick glimpses of the Michael Miller area: Designers Emily Herrick and Violet Craft who both had awesome new collections Technicolor and Waterfront. Also a familiar quilt and a giant swan boat ride. The Freespirit/Westminster Fabrics booth is always full of pretty inspiration. (R-to-L): Joel Dewberry, Jenean Morrison, Denyse Schmidt’s new collection, Florence, which has lots of great colors and prints, and pretty stitchery by Anna Maria Horner. (clockwise) Heather Bailey had an AMAZING giant bird embroidery on her wall and green turf as the floor. Her booth won an award. Tula Pink’s booth is always full of color, Oliver + S and the Straight Stitch Society (which I love!) and Pam Kitty Morning’s cute new collection. The Kokka booth. I always love to check out this one. Cute, kitschy Hello Kitty prints, new collections by Melody Miller and Ellen Luckett Baker. Love those tulips! And guess, what? More fabric from more fabric companies! These companies are smaller, but always have amazing, fresh designs: (clockwise) Birch Fabrics, Dear Stella, Monaluna, Rashida for Cloud 9, and Blend. Robert Kaufman had some fun new stuff including these saturated tones from new designer, Jennifer Sampou. Not my typical style, but I loved how the batik-y looking stripes looked used in the quilt and dress. A simple way to add design elements letting the fabric do all the work. Also the new cutesy Hello Tokyo collection was darling. Speaking of Robert Kaufman, they had a great collection of new apparel weight fabrics including denims, chambrays, swiss dots, etc. Some great things! There is one of my cute roomies, Andrea, who sewed a lot of the samples for RK. Other cool apparel news included a range of colored denim by Indygo Junction. The weight was SO nice and felt so soft. They’d had some cool sample garments and a nice Union Jack Pillow. Riley Blake is offering a selection of knits now too. 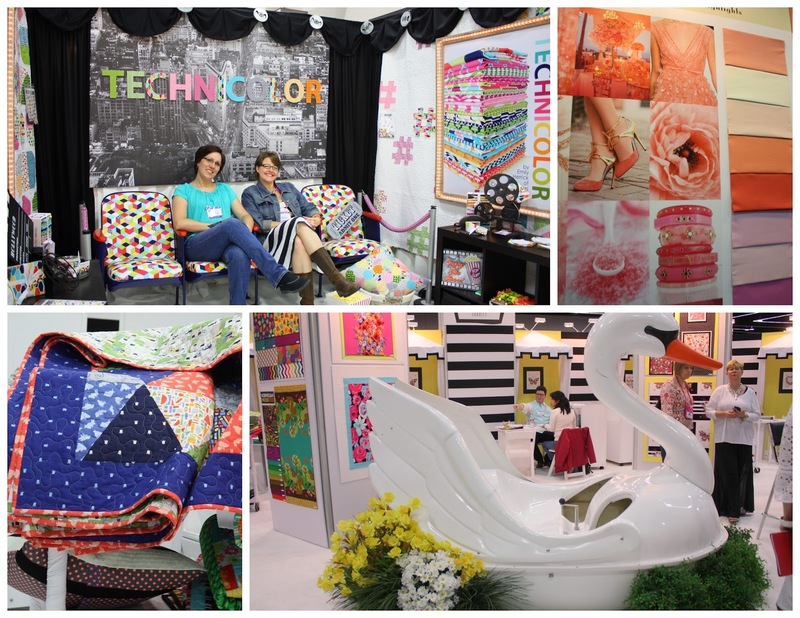 Some amazing designers and their booths: (clockwise) Jen Kingwell from Austrailia. Holy Moly. Amazing quilts. The picture of the full booth does not do them justice. You can see in the close up shot that there is so much amazing detail. Emily Cier of Carolina Patchwork. It was so neat to see her work up close as well. I love her use of color and placement. Just beautiful. And Debbie of Esch House Quilts had her first booth. I love her minimalism. Beautiful work there too. One of my very favorite booths of Market belonged to Jodie of Ric-Rac. Ric-Rac was one of the first sewing blogs I ever read. When it clicked that she was standing there live and in person, I about flipped. And then to see her cute goodies, live and in person, including the dress made entirely of selvage strips, I about flipped again! Also the fact that Jodie was hysterically funny to talk to. And just to round things off (in case you’ve been waiting) coming soon to fabric collections near you: One Direction and Bobba Fett! And finally, at one point we were just mozying along, looking at booths when I looked up at a hanging quilt and suddenly thought, “Hey. That quilt looks like one I made. Wait! I did make that quilt!” There was my Blooma quilt that’s in the current edition of McCall’s Quilting magazine. I hadn’t seen it since I sent it to Blend Fabrics last September. It was nice to be reunited, briefly. And there you have it. 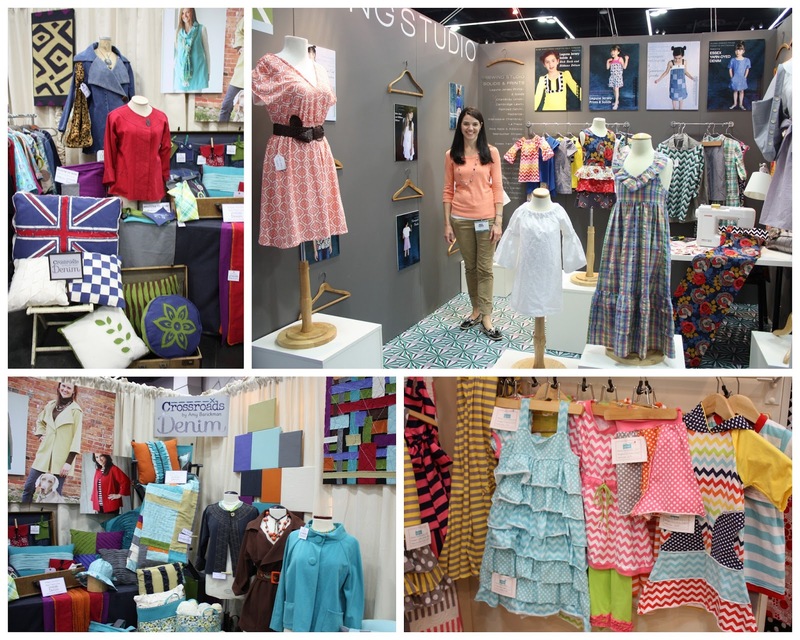 My report of Spring Quilt Market 2013. You made it through the end. Since I was feeling sad that we couldn’t all be there hanging out together, I brought back a few treasures and decided to give them away. I divided them into two piles so that I could spread the joy. If you want a pile of Quilt Market Loot, just leave a comment. I’ll randomly pick two winners on Thursday. GIVEAWAY CLOSED. Great recap! Thanks for the chance to win. Quilt market recaps are always so inspiring and fun to read. Thanks! Thanks for reporting back for all of us who couldn&#39;t be there! Loved seeing all your pictures – it sounds like you had a wonderful time. Thanks for letting us in on the fun! Look at all that Quilty Goodness!!! thank for sharing all the lovely photos! great recap!! thank you for sharing! It looks as if you had a great time. Thanks so much for sharing. I want to do so many things. thanks for letting us know how market was. Thanks for the great review, looks like so much fun. Great to see your view of Market Amy! What fun. It is so much fun to see all of the interesting things that were at Market. Thank you for sharing. So many gorgeous fabrics, thanks for sharing with us! I&#39;ll have to get cracking using up some stash so I have room for some of these lovely fabrics to make their way to me!! Thanks for sharing all the Market photos. Quilt Market looks amazing!!! Thanks for the great pictures and the fun giveaway. Very nice recap, Amy. Thanks! Sounds delightful…hope I can experience it someday! It all looks amazing. I love Pam kitty morning but also loved the teaset with Sarah Jane&#39;s children at play on it! Thanks for taking the time to do these great posts – I love seeing all the pictures from Quilt Market! The talent and creativity never fail to amaze me! Each booth looks amazing. Thanks for such lovely photos, and for the giveaway! Thanks for taking great photos and sharing with us. Its nice that you were reunited with your quilt for just a little while. Ahh, I loved the post, thank you! It&#39;s such an inspiration to see so many beautiful works! Love the round up! Makes me feel like I was there! Thanks for sharing all the market goodies! Beautiful pictures, thanks for sharing for those of us who can&#39;t attend! Love the recap…it looked like so much fun!!! I love market loot. Thanks for sharing yours. Love all the pictures…so nice to see so many designers booths. Thanks for the chance. So much to see! Thanks for sharing! Thanks for the eye candy, and sharing your goodies. Thanks for the tour..must be so fun! Thanks for the giveaway!! Thank you for sharing, quilt market looks AMAZING and I&#39;d love to experience it one day! It is wonderful to see all the pictures – so many ideas in there. Thank you for opportunity to win! Looks like fun, my daughter and I really want to go to quilt market someday…ahhh Thanks for the goodies for giveaway! Glad you had a good time. Thank you for sharing your great pictures, so inspiring. Okay my fingers are crossed. Love the pictures! They definitely make me want to be better at doing things so that maybe someday I&#39;ll make it! Thanks so much for sharing Quilt Market with us. Looks like heaven to me! Not too long a post at all – it&#39;s really great to see and hear all about the talented artists that attend. Now I have to go learn more about these folks. I&#39;d love some goodies! I&#39;m waiting for my Chapters (the Canada version of Barnes and Noble) to get the Modern Baby quilt book – fingers crossed I win it, or that Chapters gets it soon! Thank you for sharing. Now experiencing So.Much.Fabric.Lust. What a lovely set of pictures…Made it seem a little bit like we were there. Everybody&#39;s booth are so bright and cheery. Can&#39;t wait until I can go to a quilt show like this. Thank you for sharing. Great post, thank you so much! Alas in New Zealand we have no events of this size or calibre, so its lovely to see it from your eyes. Thanks for sharing. Thank you for the pictures. The fabric and quilts are so inspirational! Thanks so much for the awesome re-cap! Such beautiful inspiration. Thanks for sharing! Someday I hope to go to market – I just need to tag along with somebody! Thanks for sharing the loot! What a great time Quilt Market looks like. I wish I could get there – definitely adding this to my bucket list. <br />Can&#39;t believe you met Jodie – she is one of my favourite people!! I love her patterns and her sense of humour. Wow! Quilt Market looked amazing…wish I could have been there. Even the pictures have given me such inspiration for future projects. Thanks for sharing! Thanks for sharing all those photos and your thoughts on Quilt Market – I loved hearing about it! So many beautiful fabrics! Thanks for sharing your photographs with us. 🙂 I really like the great close-ups of all of those beautiful projects. Wow great post! Thanks for all the beautiful pics and the info. How exciting! Thanks for sharing information about new fabrics. Love to look at all the different lines. Love seeing all the new fabrics and living vicariously through your photos! Thank you so much, Amy, for the extensive recap!! Best round-up I&#39;ve seen so far! Great post!! Thanks for the great tour through quilt market. Truly inspirational. Thanks so much for giving us a little tour! So inspiring! I wish I could go to market one day but the traveling costs would kill me. Thanks! All last weekend my husband had to hear me talk about how miserable I was I couldn&#39;t go to the quilt market…maybe one day! 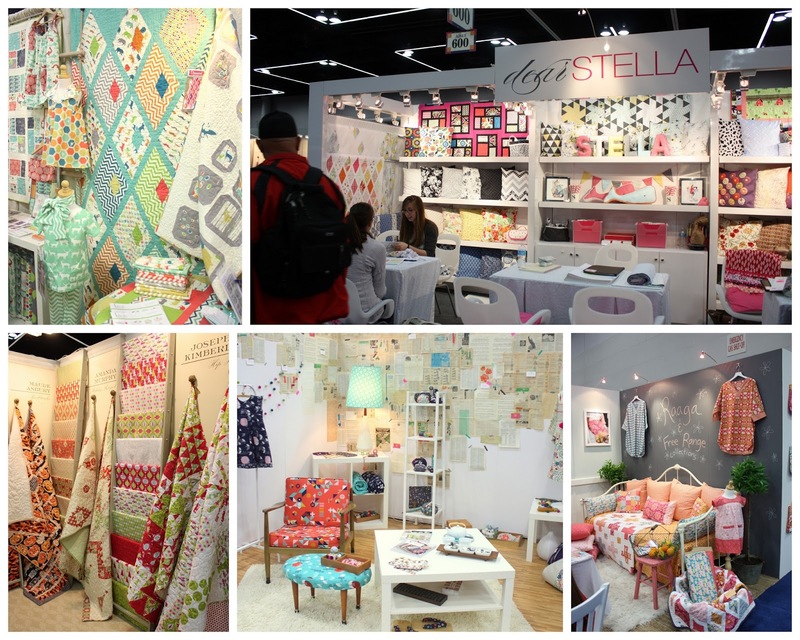 I love seeing photos of all the booths – Jen Kingwell&#39;s looks as amazing as her quilt patterns! Thanks for sharing your photos – it looks like you had good fun, but I still don&#39;t know how you manage it to take everything in!<br />hanks for sharing some of your goodies too! Thanks for all your pictures. Sure wish I could have been there, too! Thanks for sharing so much that you saw at market. Thanks also for the chance to win some goodies. I am just starting out quilting and would love some loot!! Thanks for sharing all the pretty!!! Great pictures of what looks to be a fun, sensory overloaded, inspiring time!! Your pics have inspired me to get started on my queen sized quilt! I loved your QM photos! Thanks for sharing and the chance to win some quilt stuff! Wonderful photos, thanks for sharing them! I love Jen Kingwell&#39;s patterns, happy to see that she was at Market. Thank you for the recap on market! I always love reading the various blog posts, seeing all the beautiful fabrics and patterns.And thanks for a fun giveaway too. Thank you for sharing all your pictures! Great inspiration for us. Now we can dream about all the new productes coming soon! Did you ever feel like collapsing into the fetal position and sucking your thumb while looking at all that amazing quilty and fabric goodness?! Oh my gosh. I can&#39;t imagine seeing everything in person. Thanks for sharing the pictures! this looks like such a blast!! I&#39;m not so sure I could contain my composure without jumping up and down and squealing like a little girl if I saw a quilt I made on display at market!! Looks like you had a great time. Thanks for the peek into all that amazing fun! Oh my…… I&#39;d love some of those wonderful goodies! Thanks for sharing your loot and your memories! Thanks for sharing the great pics of Market. I wish I could attend once. LOL It&#39;s good to see all the stuff. Hope I win one of your generous give aways! I can just imagine the visual overload that market is. I hope to see it in person myself some day. Thanks so much for sharing all the great pictures. Ooh, thanks for sharing! I loved your pictures from Quilt Market, especially the ones that weren&#39;t from major fabric companies. ooh that loot! Love that thread! sounds like you had a fabulous time. Thanks for sharing the cool pictures. Love this post. Thanks for all the great pictures! Would have loved to went to quilt market. Loved seeing the posts about it. Thanks for sharing the loot. Just wanted to let you know that Jennifer Sampou is not a new designer, she has been (or at least was) designing fabric since I started quilting 15 years ago. Thanks for the market recap! I should be doing the dishes, but got caught up in your pics……Thanks for offering the give-a-ways! Looks like it was an amazing event. Thanks for documenting it and sharing the quilts fun with everyone who could not attend! It it is always so terrific to see the amazing talent and ideas out there. Thank you so much for sharing it all with us! Thank you, thank you, thank you. I love being able to live vicariously through your photos and great descriptions. Hopefully some loot would make it feel all the more real. Again thank you. What a super documentation of the weekend! Very inspiring! Thanks so much for the recap! Sounds like you had a great time! What a wonderful experience. I only wish, sigh………..maybe someday. Thanks for sharing and the wonderful (hoping) chance to win. Pick me, pick me. (-: Once again, put your feet up for a little bit Amy and thanks again. Your pic collages are a great way to recap your trip! Have been visiting my son and his family in Portland for the last 10 days and soooo wanted to go to market! Seeing all the great pictures makes me want to sneak in next year in someone&#39;s handy dandy tote bag!! (A very large one!) Thanks so very much for sharing your experience with us!! Love the recap and the surprise end, a giveaway awesome, I would love some Market Loot! Amy thank you so much for allowing us to live through the quilt show. It is such an inspiration to see what others do with their quilts. Thank you again and for the chance to win a giveaway. 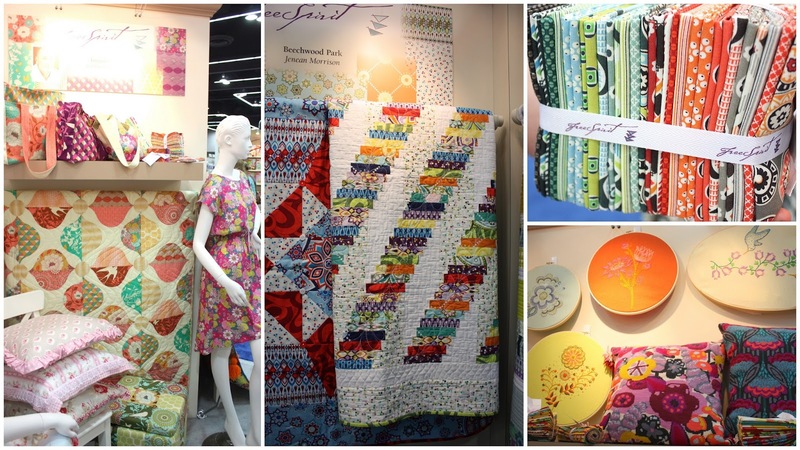 Thanks for sharing all the beautiful Quilt Market pictures! I can almost see myself there! Someday…. Thanks for all the pretty pretty pics. Maybe I&#39;ll get to go someday! Some year I would love to take a trip to Quilt Market! Thanks for sharing all the fab pictures. I love seeing all of the quilt market booths! Thank you so much! Thanks so much for sharing! It almost felt like I was really there! I love all the photos and thank you for taking time to do all of this for your bloggers. Thanks for taking the time to give us such a great recap – and all the pictures were awesome. I&#39;m glad you had the chance to attend! I love those little matryoshka dolls in one of the last picture mosaics! Ooh I love that dress too! Those diagonal stripes would be quite flattering in that design. Thanks for the inspiring photos. I went for the first time. It was amazing. Thank you for sharing your goodies. Thanks for showing us the quilt market pictures and especially the captions so we know who is who and what is what! Would love to win either pile! A pile of lot? Yes, please! One of my life goals is to get to quilt market. Sigh. Thank you for sharing your great photos. love hearing about quilt market! thanks for the giveaway! Thanks for the market tour! It was fun getting your birds&#39; eye view. Oh my gosh! Quilt market goodies! What could be better! Thanks so much. Thanks, as always, for the lovely giveaway! It is hard not to want every single print in Florence! I feel that way about each new collection as it comes out!<br /><br />I just picked up the baby quilt book on Amazon. It came Friday and I love it! I would love some Quilt Market loot. It looks like you had a lot of fun. Thanks for the chance to win! Thank you for the lovely photo tour of Quilt Market. What a dizzy-ing display of loveliness! I would love to win a packet of goodies — thanks for offering this opportunity. Thanks so much for sharing some of these great pics – saw some fabric goodness no one else had shown!!!! Yes, I would love to win some quilt loot! Thanks for sharing with us. Oh my gosh, AMAZING photos! Thank you so much for sharing them. So envious that you were there to take it all in personally, but thankful that you are letting the rest of us live vicariously thru you. Can hardly wait until all of these great lines begin hitting my LQS. I&#39;m so jealous. Looks like you had an amazing time! Quilt Market looks like it would be sew much fun. Going to a quilt market is on my bucket list. Thanks for sharing the pics and for the generous giveaway. I wish Portland Quilt Market would have a day that just interested people could come see all the beautiful displays! Thank you for sharing. 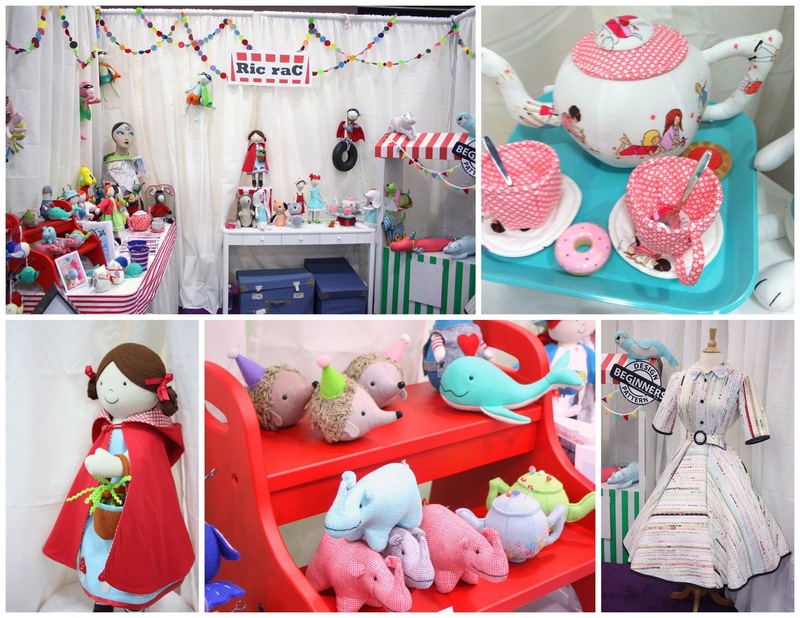 Thanks for sharing your market photos – so many amazing booths and quilts! Looks like you had a great time there and thanks for the giveaway! thanks so much for sharing these lovely photos, would like to be there! thanks also for a chance to win! Great pictures – thank you for sharing! Thanks so much! You have some great pictures that I haven&#39;t seen other places. So glad you were able to go and have fun! Someday I will get to go to market!!! Thanks for sharing! I so wish I could have been there. Looks like an amazing time! I love your posts, Amy. 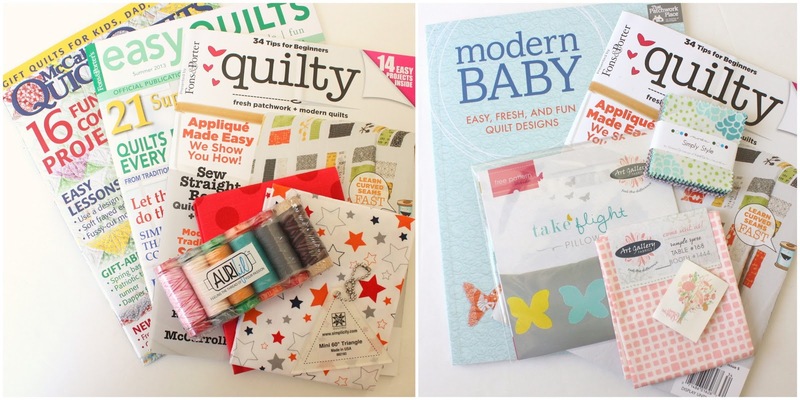 Thanks for sharing the Quilty joy! I would love some quilt market loot. I&#39;ll never be fortunate enough to attend quilt market, ever. I can imagine that when you&#39;re there your fingers are itching to get started on something new! Thanks for the chance to let one of us commenters participate. Thanks for bringing us along to Quilt Market! Reading your blog is so much fun—my quilts and fabric choices are so much more fun since I&#39;ve been inspired to break out of my box! Love you pictures, Amy! Thanks for making my day. So fun to see fabric and fun people. I meant love YOUR pictures. Sorry. Thanks for all the info on quiltmarket…and thanksfor the chance at the goodies!! Thanks for the photo tour of quilt market. Thanks for sharing the loot too. Oh, that is so sweet of you! I&#39;ve been enjoying all of the fabulous photos – it looks like you had a wonderful time! Thanks for the giveaway. I hope some day to go to quilt market!! One day, someday, I hope to go to a quilt market! THEN, I can die and go to Heaven! !<br /><br />Thanks for the giveaway!! Seeing all of the pictures is so fun! I would love to win some quilting loot! Loved the pictures. Wish I could have been at Quilt Market, it looks like so much fun, seeing all those wonderful designers. Since I couldn&#39;t be there, I would love some QM loot. Thanks for sharing pics of Quilt Market. So much fabulous eye candy. I think it must be overwhelming. But it sure is fun to see pictures! I bet it was hard to go back to your hotel room at night and not want to sit at your machine and create all nite…talk about overload inspiration…. Such great pics of all the booths, wish I could have been there. Unbelievably Gorgeous stuff!! Wish I could have gone. Looked to be fun. Thanks for the opporunity. Thanks for the review. It&#39;s fun to see all the beautiful fabrics and quilts. Sweet! Looks like an amazing time was had by all. I love the details on those quilts! Quilt Market has now been officially added to my Bucket list! Thanks for sharing your experience there and for the great give aways. 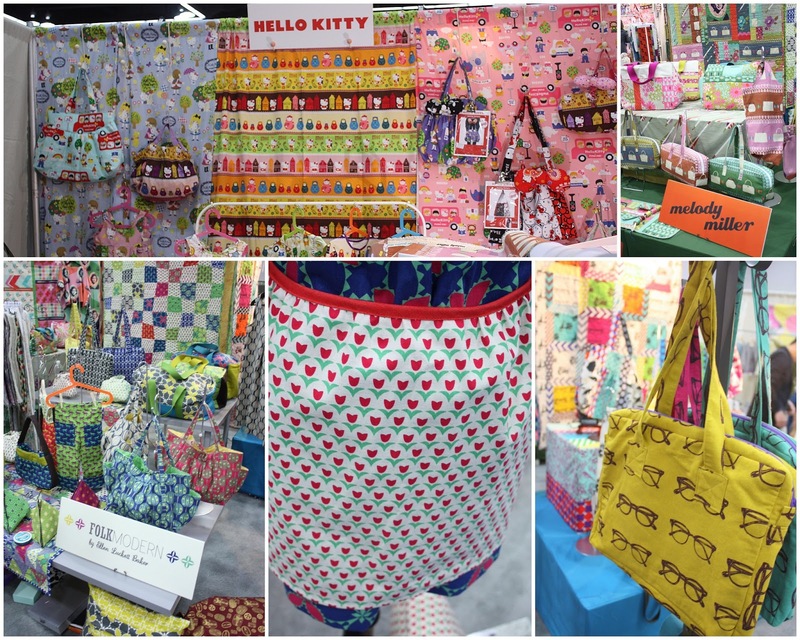 Great pics from Quilt Market!<br />Thanks! PICK ME PICK ME!! I love the 2nd and final post of the Quilt Market!! Oh my goodness… so jealous that you got to go! I started quilting in December and am just head over heels with it! Thanks for sharing your pics! What eye candy! Thanks for the great recap with tons of pretty photos! Such beautiful work at the quilt market! I wish I could have been there! I want quilt market loot! I love your recap! And a giveaway, hooray! Love this post, thanks so much. Thank you for the quilt market romp! It&#39;s been so fun to see all the new collections! Thank you too for the giveaway!! I liked all the pics of the happenings at Quilt Market! Looks like so much fun! Fabrics galore and beautiful projects! Thank you for remembering your blog followers with a chance to win a treasure! Enjoyed the pictures! Thank you!! This Quilt Market looks amazing. Thank you so much for the amazing overview. And thanks for these great give aways. Hope I win one! So much to look at, so much fabric to see…you are so very lucky to have been there, one day I might get there, but for now I have to be content with your photos. I&#39;d be thrilled to win some loot from Quilt Market! Thanks for sharing loot and the inspiring pics – I&#39;m off to do some sewing! Wow! Must have been incredible to see all these things in person! Thanks for sharing – and putting my name in the hat for the drawing! Thanks! Love all the eye candy. I love all the bright, new fabrics. Thanks for the giveaway. Oh I like all the pictures! Thank you for the wonderful pictures. It ALMOST feels like I was there! Seems like it was pretty exciting! Glad you could be briefly reunited with that pretty quilt of yours. Thanks again!! I love your reaction, Wait, that is my quilt ! Thanks for sharing your market photos ! For those of use who couldn&#39;t be there, I am so grateful for blogs that post all these wonderful pictures. Nice to see what&#39;s coming in the future. I love the butterfly quilt made by Tula Pink. I hope she releases a pattern to make it. Thanks for all the good photos of market and the giveaway. WoW!! So much gorgeousness…I could spend hours looking at the details in your pictures!! Thanks for sharing! Great recaps! I love all the photos. So much quilty goodness and inspiration. It makes me want to put my kids to bed early and lock myself in my sewing room. Wow!! To much to see. Everything is so beautiful, I would end with a terrible pain in my neck. Thanks for the giveaway. Thanks for sharing your pics of the quilt show! And thanks for the chance to win! Great pictures thanks so much for sharing all the loveliness! I loved seeing those booths. The time and thought put in to them are awesome. Hi!!!! Thank You for all the fun pics!!!! Bet is was fun to see your own quilt there!!!! Thanks for sharing the fun!!!! I wish I could go to quilt market! Thanks for sharing the pics from Quilt Market &amp; thanks for the chance to win. Whew, I&#39;m on overload! What gorgeous booths! I love looking through Quilt Market photos! Thanks for posting them! Thanks for sharing your Quilt Market pics. I loved them. It must have been great seeing your quilt there. I would love to win the 1st little package. Thank you for sharing! Awesome pics! Thank you! I love a good market report! Wish there was an event like this in Ontario! Thanks fro the giveaway! I&#39;ve thoroughly enjoyed your pictures from Portland. Great pics! We enjoy visiting Market through you vicariously! I&#39;ve really enjoyed your posts showing us around the quilt market. Thank you so much for sharing! Seeing your pictures of Market, it really makes me want to see it for myself. Quilt Markets are so much fun. Thanks for the chance to win!!! love the photos you shared. Thanks for your giveaway. I&#39;d love to go to quilt market one year. Although, I&#39;m afraid I&#39;d be overstimulated by all the amazing fabrics and quilting inspiration! It looks like Quilt Market was a lot of fun! Thanks for sharing with those of us that weren&#39;t able to go! Looks like you had so much fun. Thanks for sharing with us all! Thanks for the great update of Quilt Market! Love the pictures! 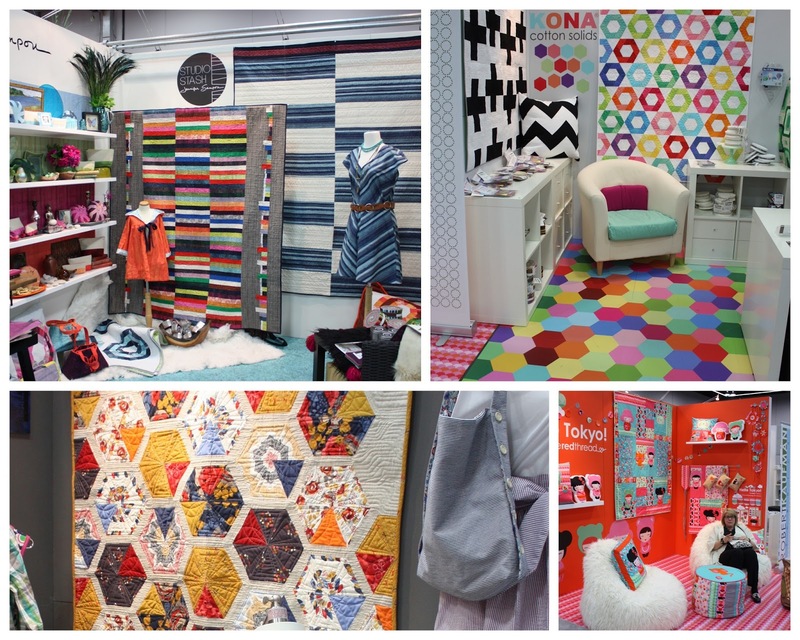 Quilt Market is definitely on my bucket list…. Your posts make me feel like I was there! Thanks for the lovely reporting! One of my highlights of quilt market was meeting you!! That was thrilling to me, and you are so sweet, and didn&#39;t think I was crazy, which was so nice! Your posts on all the booths and new fabric are wonderful. My phone pictures are a mess and not in focus, so I like looking at your blog posts instead! Looks like so much fun and inspiration… I would be ecstatic at market! I can only imagine. Thanks for sharing. Thanks for the pictures of all the yummy stuff at Market. Almost as good as being there. A lovely collection of quilts for sure! Thank you for all these pictures! It sparked my imagination and creativity! Maybe one day I&#39;ll make a Jen kingwell quilt, it looked so lovely! And I loved your quilt- off to the store to see if they have a copy! Maybe some day I could visit the quilt market myself. Thanks for the photos! Thanks for sharing all of the photos and for offering so many giveaways. I love all of the new colors available now and can&#39;t wait to start a new project. Enjoyed your recaps and love living vicariously! I would love to go someday. Thank you for the chance to win. 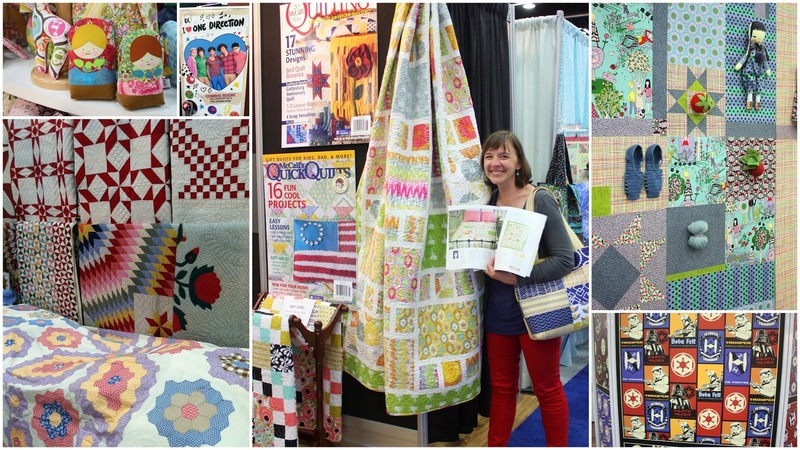 I&#39;ve really enjoyed your Quilt Market recaps &amp; your photos are fantastic! Thanks for the lovely giveaway. Thanks for all the great pictures from quilt market! Its nice to be able to see all of the great new fabrics and creations when you cant be there in person. Everything looked so bright and beautiful I bet you had a blast. <br />Thanks for the chance to win a bundle of some great loot as well. I am so jealous of everyone that got to go. Thanks so much for sharing your pictures. Colour galore!!! Love it. I would love to have a momento of your Quilt Market trip. Glad you had fun. Thank you for sharing all of the pictures!! 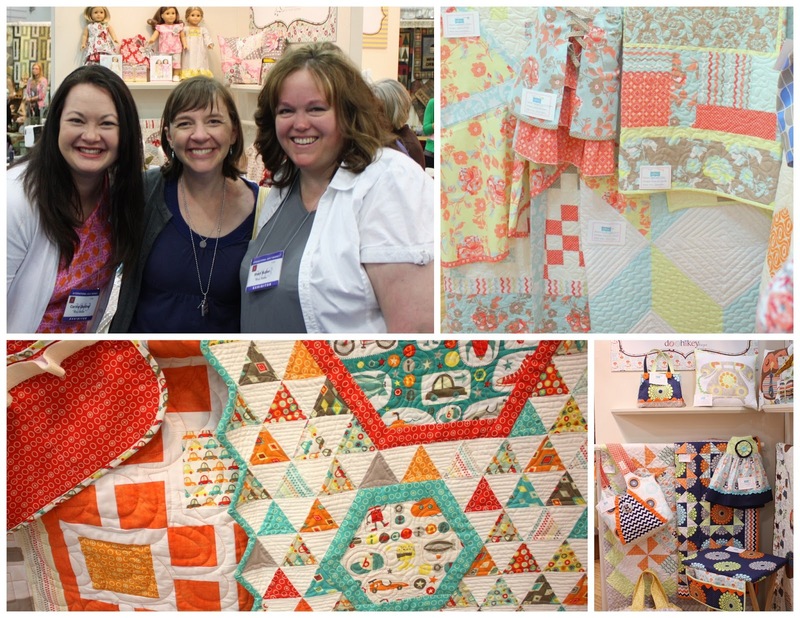 Love all of the Quilt Market pictures!! Great pictures!! Thanks for the mini tour. I love all the rainbow colored quilts at the beginning. The circles and chevron stripes are so in right now (which would make them less classic maybe??) Good stuff! Thanks for the recap! I love seeing pics from the Market. I&#39;m a huge fan of Freespirit, and I love the Carolina Patchwork and Esch House Quilts booths- I&#39;m going to check them out next! Fun photos, news, and giveaway! Looks like you had an awesome time with lots of eye candy!! Thanks for sharing! Loved this post. Quilt Market looks amazing. All I can say is that I am drooling. Finger&#39;s crossed! Thanks for the recap! It&#39;s one of the best I&#39;ve seen so far. And love that we get to share in it with a giveaway. Thank you. Awesome post! Market sounds and looks so wonderful!!! Wish I could have gone! Thanks for the great giveaway! So jealous of everyone that got to go!! Thanks for the chance to win. Quilt market looks like a fabulous place to go. I love Quilty magazine, so much as market I am overwhelmed just from the pictures. Great recap. Love your yummy pictures…thanks for sharing! I feel like I died and went to quilters heaven, so many pretty things. I love to see the recaps of Quilt Market. I wish I could have attended! Thanks for the giveaways of market goodies. What a great virtual tour of Quilt Market! Thanks for bringing me along. Thanks for a chance to win some fun loot as well. It kills me that this was in my hometown and I couldn&#39;t go! Glad you had fun!! It looks like you had so much fun. I loved your recap. Thanks for all the pictures. It&#39;s almost as if we were there too! Oh how wonderful you must&#39;ve felt to see your quilt there, It&#39;s beautiful! Thank you for sharing. wow! great pictures. I am absolutely drooling over here!!! gorgeous, just gorgeous..all of it! Thanks for the giveaway! I am hoping to go to my first Market next year! Thanks for all the pictures! I would love the modern baby package since I&#39;m expecting and am making baby stuff like crazy. Great pictures. So many fun things! Thanks for letting us experience Market vicariously through you! Oo boy I would love to win some loot! Someday maybe I&#39;ll get to go too 🙂 Thanks for the chance to win. Thanks for all the eye candy. I think I would just be so overwhelmed with all that beautiful fabric. It looks like it was yet another fabulous Market. Thanks so much for the recap! Beautiful quilty goodness!!! Thanks for sharing your trip with us! Thanks for the great Market coverage. I really enjoyed all the pictures and was able to see some of the booths that didn&#39;t get much coverage elsewhere. Can you handle Jen Kingwell? Her stuff is wowing me. I love seeing all of the photos. So much gorgeous stuff! Thanks for the recap! I see a lot of stuff I&#39;m excited about – especially Jen Kingwell&#39;s designs! WOW! I&#39;d never heard of her, but her work is amazing. Someone to follow for sure!!! Loved looking through your pictures, thanks so much for sharing them with us! Thank you for the chance to win and the wonderful recap. Thanks for the tour of Quilt Market, and the chance to win! Thanks for the great pics and haring your loot! 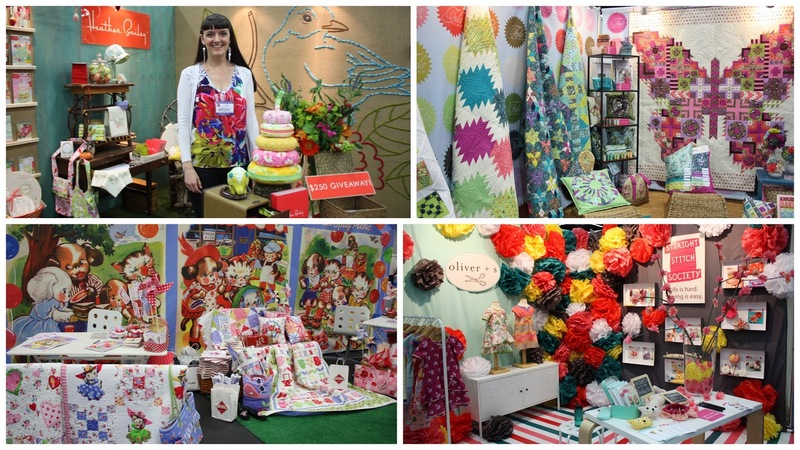 I love seeing all the pictures from Quilt Market….would love to go someday. So much inspiration! Thank you! Thanks for the giveaway! 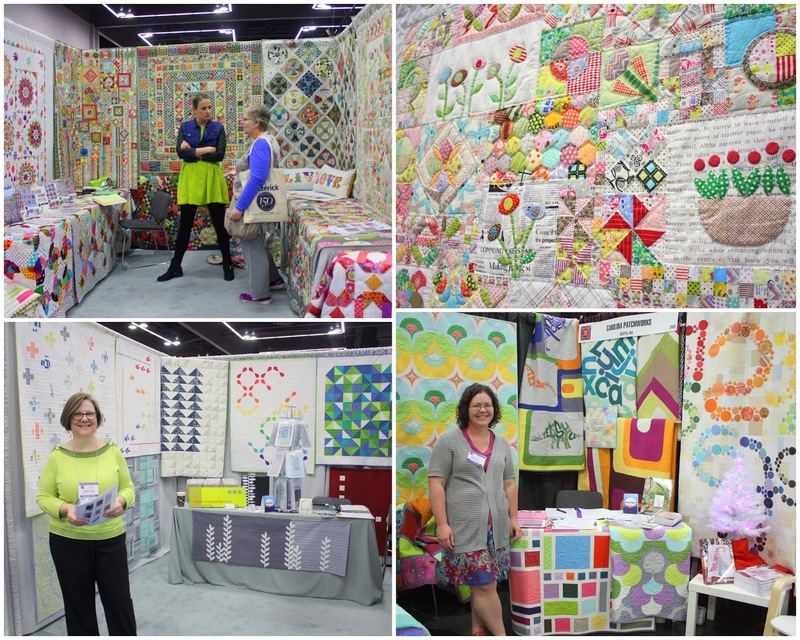 I love all you quilt market pictures!! I would love some loot from Quilt Market! Thanks for sharing all the wonderful pictures. Makes me wish I could go right to my sewing machine. Wow, so much to see and take in. I don&#39;t blame you at all for feeling slightly overwhelmed at having to do a recap of it all. It looks like it was great. Hopefully someday I&#39;ll make it there. Glad you had a good time. Thanks for the chance to win! Thanks for the awesome market pics and thanks for sharing your goodies with us! Felt like I was there! 🙂 Thanks for all the sneak peeks! Thanks for the chance to win! I&#39;m really happy with your coverage – I loved seeing your photos and reading your commentary! Great photos! I&#39;m a big fan of the awesome Jodie of Ric Rac too… thanks for the extra pictures of her adorable booth! LOVE the pictures! Thanks for sharing the experience with us. Thanks for all the photos–I&#39;m fairly new to quilting and loved seeing all the photos of the different styles of quilts! What an absolute feast! Thanks for the beautiful pics! Oh, I hope I&#39;m not too late to enter! Erin S. said you had so much fun at Market! Can&#39;t wait to see you again at SS#3 in September. Thanks for sharing! Wish I could go – maybe one day!